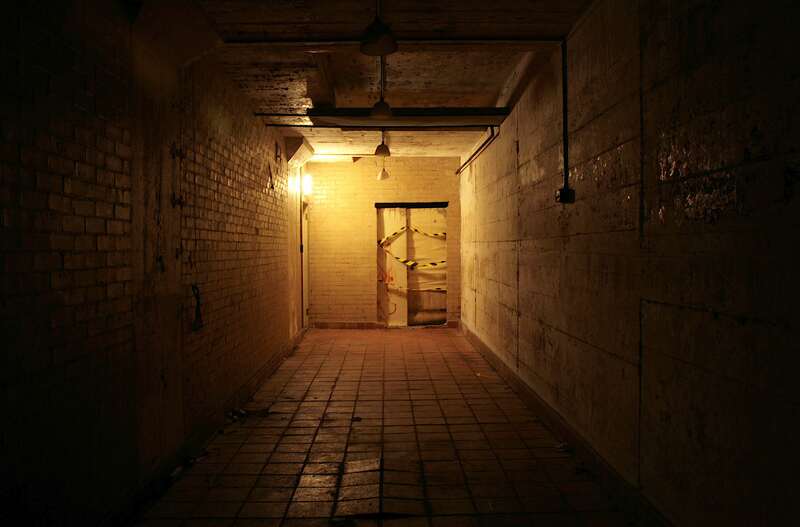 Underground spaces take on heightened significance during times of crisis above-ground, particularly wartime. When cities are threatened by war, subterranean spaces are mobilised in new ways: as places of shelter, secrecy and production. 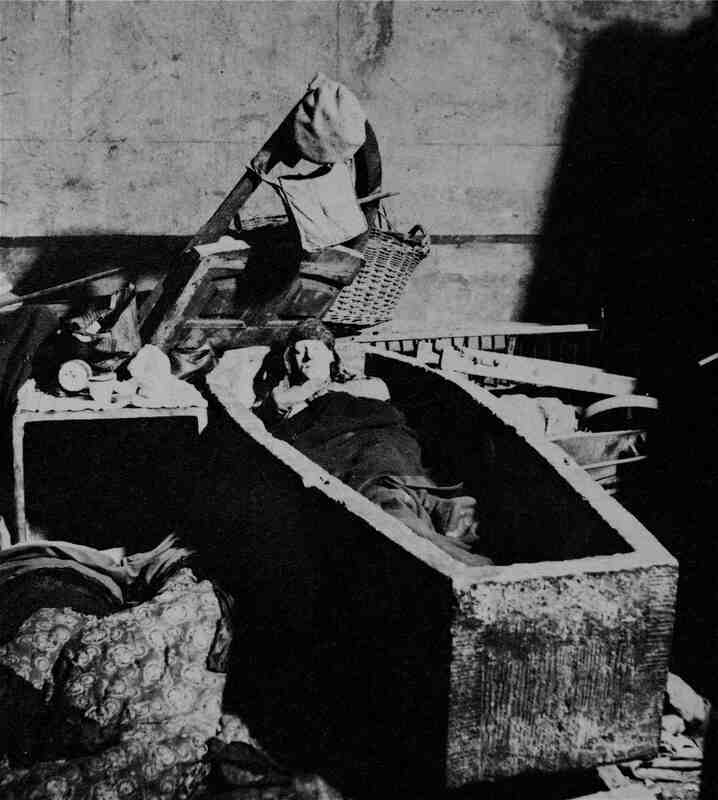 During the Blitz in London in 1940-41, the normal associations of the city’s underground – darkness, danger and death – were dramatically reversed: the workaday Tube became immobilised by crowds of people sleeping on the platforms; new tunnels were dug to house munitions workers; the government built underground rooms to house their war operations; and church crypts, vaults and even coffins were used as places of shelter. 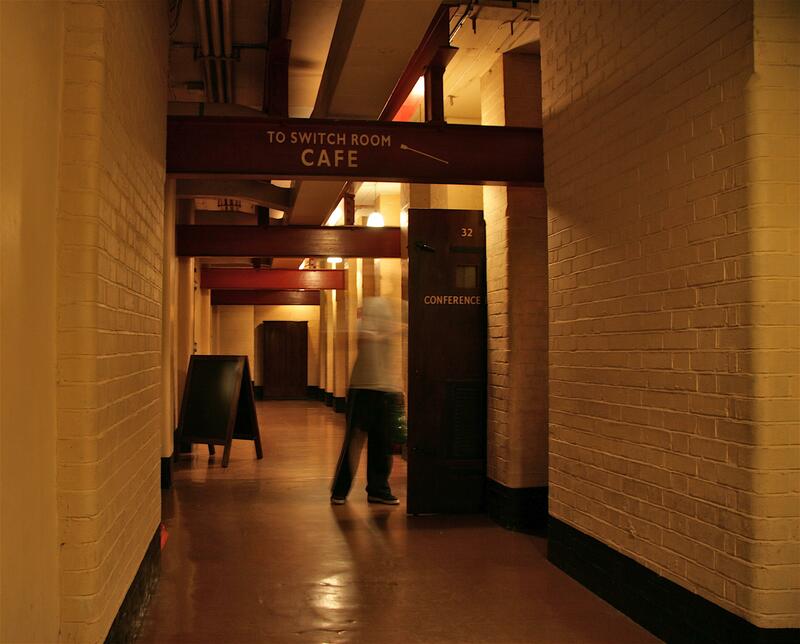 The Cabinet war rooms – now a popular tourist attraction – were built under the Treasury in Whitehall in 1939 and remained in operation throughout the Second World War. They were in fact the successors to another set of war rooms, constructed in Dollis Hill in north London and known as ‘Paddock’, which can still be visited by the public twice a year. 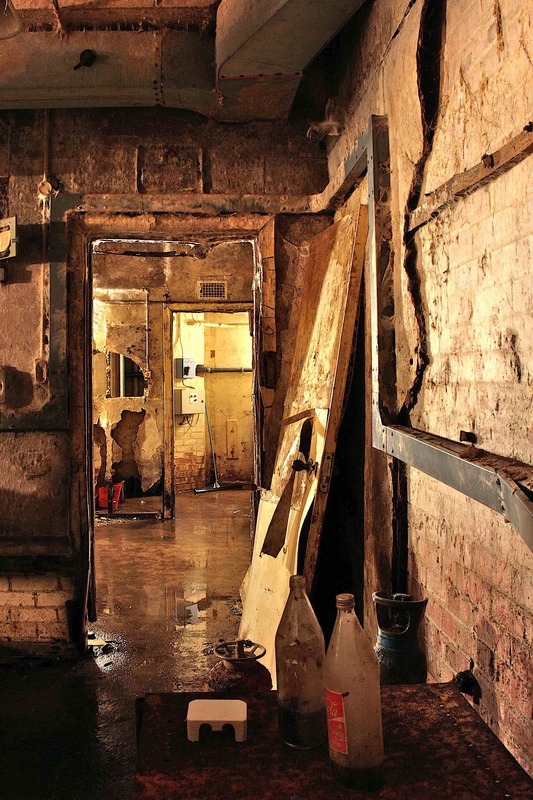 The original war rooms were abandoned in 1939 in favour of a more central site but they remain today in their original state, albeit in the advanced stages of decay. In contrast to the comfortable experience of visiting the Cabinet war rooms, complete with underground cafe, visiting Paddock is disconcerting. 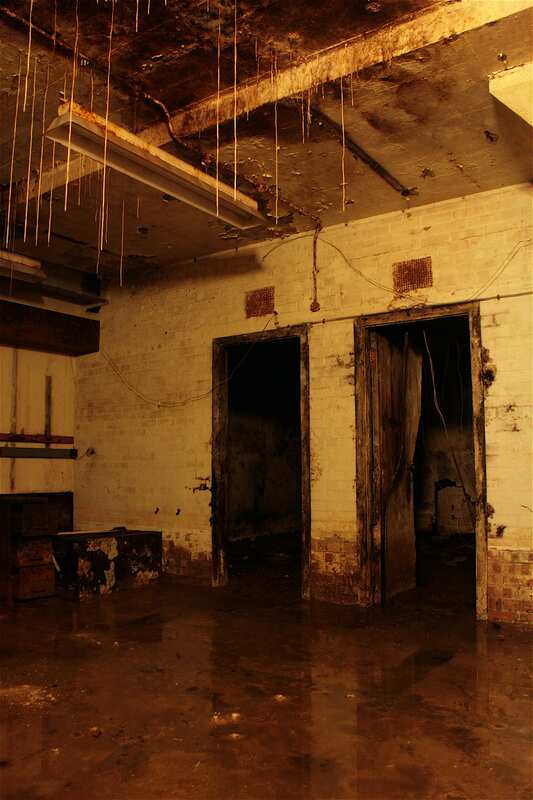 Standing empty for 70 years, stalactites now hang from the ceilings and rise from the sodden floor; piles of rubbish and mud fill the rooms, while the furnishings rot and rust unchecked. Without the explanations given in the restored Cabinet war rooms, these spaces take on a nightmarish, uncanny quality: rooms meant for equipment recede into the darkness, their odd-shapes feeling alien and disorientating; and relics from the intervening years – 1970s Coca-Cola bottles and fire extinguishers – speak of other stories of illicit exploration. In fact, the spaces at Paddock feel more akin to the countless post-apocalyptic film sets that have defined cinema since its early-20th century beginnings. They seem to speak of a disaster that is yet to happen, where even underground spaces are no longer safe from destruction. Post-apocalyptic films such as Day of the Dead (1985), Threads (1984) and The Road (2009) provide differing causes of annihilation – zombies, nuclear war and an unidentified cosmic strike – but they all use bunkers as an initial means of escaping apocalyptic destruction. However, in these pessimistic visions of the future, the underground is eventually overwhelmed by the apocalyptic forces above or, alternatively, by social breakdown below. 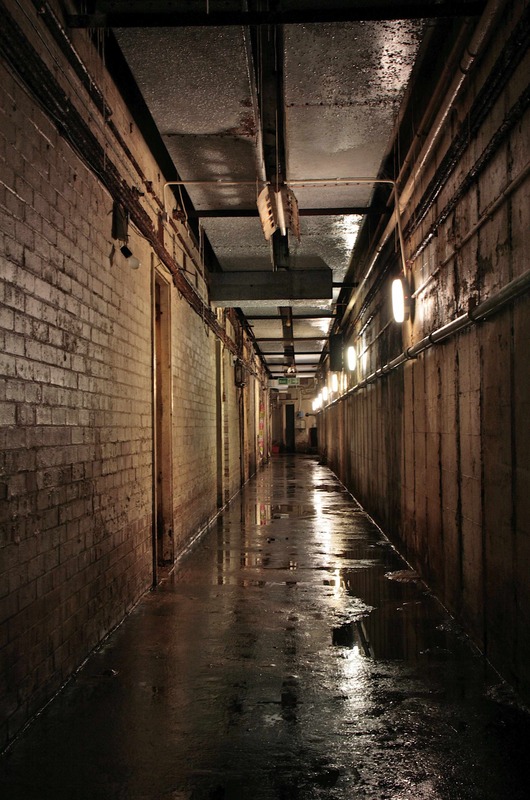 Experiencing the decaying spaces at Paddock reminds us forcefully that it is impossible to escape the consequences of war, even if their sanitised counterparts under Whitehall continue to celebrate that very escape.